I always recommend consulting your physician before making any dietary changes. That being said, nothing is worse than being chronically tired all the time, which leads to depression. So let’s boost those energy levels by getting you the nutrients your body needs to feel it’s best! Feeling good means your body is running right; it’s getting the nutrients it needs to function in the most efficient manner. When you are sluggish and tired, most likely you are lacking specific nutrients. Here are a few of the culprits! AFFILIATE LINKS – Please note that if you click on any of the product links on this website, they are affiliate links. That means the merchant pays me a commission for the sale. This does NOT affect the price you pay in any way. There is no additional charge to you. I appreciate your support, as this helps to fund the research and development of this website! Thanks so much! Please remember, I only recommend products I believe in. The main goal of this website is to give you the best information on how to get that fountain of youth lifestyle where you look and feel your best! Your feelings of being tired may be caused by chronic fatigue syndrome, which will make you feel tired and depressed all the time. Magnesium can help, so try increasing your magnesium levels and see if you don’t gain some energy. Talk to your doctor about chronic fatigue syndrome. Purity Products is a company that I buy many of my supplements from. They are an extremely reputable company, and the results I have gotten from their products is remarkable. I highly recommend you give them a try; you won’t be disappointed! You must have Vitamin D to absorb calcium and to promote bone strength and growth, which prevents osteoporosis. Children need Vitamin D to prevent rickets. Some foods are fortified with Vitamin D, but none of them are good for you, like dairy (which causes extreme inflammation throughout the body) and cereal (which contains gluten – see my other article on gluten and why to avoid it), so taking a supplement is far more productive than consuming these terrible fortified foods. FULL SPECTRUM VITAMIN D COMPLEX – Vitamin D is a team player inside the human body, relying on proper levels of other nutrients – key cofactors – to fulfill its potential. Dr. Cannell’s Advanced D3 goes way beyond generic Vitamin D, delivering more punch, and more value! PHYSICIAN FORMULATED! – Formulated by the Executive Director of the Vitamin D Council, Dr. John J. Cannell. Involved in over 2000 genes in the human body, Vitamin D is essential for the healthy structure and function of the human body. Advanced D3 delivers 5000iu’s of Vitamin D3 in every serving! THE POWER OF VITAMIN K2 – Vitamin K2 is crucial to help make sure calcium winds up in the proper areas in your body, like your bones and teeth, and not your arteries. When you feel chronically tired all the time, you need to look at your iron levels. Your fatigue could be caused by iron deficient anemia. You will feel very out of focus, weak, just plain old sluggish and sometimes ornery. You have to realize that you need iron to carry oxygen throughout your body. This is absolutely critical to feel your best. Discuss this with your physician, because iron deficient anemia could be a sign of other underlying problems. It’s just always a good idea to talk to your doctor if you’re not feeling your best. Whenever you eat foods with iron or take an iron supplement, you want to make sure you also include a good source of the all-important Vitamin C! Vitamin C assists the body in absorbing Iron. Vitamin C is one of the most important nutrients you can take. Human beings and hamsters are the only mammals that do not create their own Vitamin C! Antioxidant-packed blend features a wide array of Bioflavonoids, Carotenoids and Phytonutrients . Same as our B12 Energy BerryMelt, but with a Clinical Probiotic (2 Billion CFU). ORGANIC ASHWAGANDHA HIGHEST POTENCY AVAILABLE 1950 DR. FORMULATED ORGANIC ASHWAGANDHA: with so many subpar products in the current market we saw a need for high-quality supplements that actually work. Our physicians only select ingredients based upon scientific backed clinical research. ASHWAGANDHA ORGANIC for MAXIMUM ANTI-ANXIETY SUPPORT: Our Ashwagandha Root is Vegan Safe, Non-GMO, Third Party Tested, NO Filler or Binders. HGH (Human Growth Hormone) stimulates growth of the body and helps regulate metabolic processes. So, not to get too technical with you, HGH is what tells your liver to produce something called IGF-1, an insulin-like growth factor. The reason this is so important is that IGF-1 is thought by many in the medical and scientific community to be the actual key anti-aging hormone! One of the main benefits of boosting your own natural HGH levels is more energy! Lots more energy! HOW IS HGH GOOD FOR YOU? I realize there are a lot of supplements here and a lot of information, and it can be confusing which one to try. I recommend you take them all, but I know that might not be possible right away due to cost concerns. I would definitely start with the Vitamin B12 and the Vitamin C. These are critical to your health and most people are lacking in both. Talk to your doctor as well. Mine did a blood analysis on me back when I was experiencing fatigue and found where I was deficient so I could remedy it. Please feel free to leave me a comment or a question below. I am happy you’re here, and I’m always available to answer your questions! Great suggestions! My favorite is the ashwagandha. I find that a good adrenal booster (adaptogen herb) is essential for building long term energy. Most people’s adrenal glands start to weaken as they age and go through stresses. Many of the vitamins you suggested help with regenerating the adrenals too. Nice job. I enjoyed reading your article about the different health benefits of different vitamins. I definitely need to book in with my doctor to get some blood work done to see where I am deficient before deciding which vitamins would be the best for me. In the meantime, I will look at increasing my consumption of foods that are high in healthy nutrients. Hi Babs, great information on what I am looking for. I’m trying to get more information on how to get more power to my life. I really appreciate that you don’t just recommend vitamin pills but also the food providing cretin vitamins. I prefer to take as much from nature as possible. Thank you for all that wonderful research and information. I have iron deficient anemia or more like borderline, I can definitely tell when I am running myself thin and not taking care to get enough iron. I have not tried dandelion greens have you had any experience with them and if so have you felt the difference in energy level? Dandelion greens are absolutely on the best foods on the planet. I eat them all the time, practically every day. They are huge in fighting off cancer, and all the greens are great for energy levels. I myself had a lot of problems with drowsiness and just being so tired in general. I went to the Dr. to find out that my Vitamin D level’s were very low. I ended up having to take two capsules a day for about 2 month’s to bring my level’s back up to normal. I don’t remember seeing anything from the Purity Products line. They seem like a good brand to try out though. Purity actually has an amazing vitamin D formula. I will add it to the list for you. Healthy living is so important to every human being, this post point to a different direction we all need to provide nutrition for our body. I like the fact that you highlight the kind of supplements one can take. Do you have idea on nutritional fact for eyes maintenance? Please share a link of such article. Thank you. You are not the first person to ask about eye health. I will focus my research on that and do an article in the future. Great idea! A very helpful article as everyone needs to have all of these supplements and vitamins to fuel our body efficiently as we do our daily activities. These would as well keep as away from any kind of sicknesses especially if these are coupled with some exercises which help to make us more fit and healthier, focused, motivated and more energized in everything we do. Thank you for sharing these and keep being healthy and safe everyday! These ingredients you summed up are indeed perfectly for this, you can find them also in some multivitamins, which I prefer (I’m in the bodybuilding and fitness world, so that is why). I would also add Vitamin D with it, but not in a huge dose. 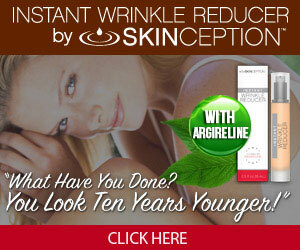 The reason is that it keeps you healthy, and your skin also, thus getting you that feeling of youth. Hi, Babs. Thank you for providing your readers the info about the vitamins. I consume vitamin C plus calcium every day to be energetic in my daily activities. I have ever done a research by googling to know how to overcome my back neck pain. I found that magnesium defficiency can help to relieve the pain. I have consumed the magnesium and I have difficulty to swallow the pill. It seem too big for my throat. What is the dimension of the magnesium pill in this review? Is it easy to be swallowed? It is big, but it is the type of pill that can be cut in half with a pill cutter because it is not a capsule. It makes it much easier to swallow. Everyone has to have all of those supplements and vitamins to take care of the body and keep it well fit. These would also help us to be well and stay out from sicknesses particularly including some exercises that facilitate to make us healthier, focused, impelled and a lot of energized in everything we need to do. Thanks for sharing this wonderful information and keep being healthy and safe each day. Thank you for your insightful and very relevant article. Vitamins should be stressed as much as water is stressed as a necessity to good health, in my opinion. The natural fresh foods are great, but they take time to prepare. What is the number 1 complaint from the majority of us as to why we are not living a healthier lifestyle? The majority would say, they don’t have the time to eat healthy and or exercise to be healthier. Busy, busy, busy! Have to eat on the run, thus “fast food”, there is nothing healthy about that, but we have time to run in and run out or drive through. Vitamins are a great addition/supplement to our bad eating habits! I take vitamin D and a multivitamin daily mainly for their health implications. I have never heard of the Ashwagandha root but it’s 12 proven health benefits are hard to ignore. Thank you for introducing me to the Ashwagndha root! Yes, it is truly a miracle root. As far as vitamin D is concerned, I am curious about your stance on whether it is viable enough to obtain vitamin d from just getting sunlight? It was something that I have read about in many articles. Does one always need to take it in the form of foods and supplements? It is shown that unless you are in full sun with your entire body for at least 20 minutes daily, you will not have enough Vitamin D.
Magnesium and it’s effect on fighting chronic fatigue syndrome. Oh, you are very welcome, Billy! I have been trying to train my body and brain to do with less sleep lately, just trying to get a few more hours in each day and I am finding that it’s all good till about 3pm in the afternoon. I don’t currently take anything so was looking around to see what might be best to help with this afternoon slump? Do you think I should go with a general vitamin/mineral supplement (as I’m not currently taking any at all) or would just the Vit B12 and Vit C be enough to help? My friend also suggested magnesium so I was interested to see you had included it too. I have started eating more yoghurt but can you get enough magnesium from foods or is a supplement really necessary? Sorry for all the questions, and any help would be most appreciated. Foods are your best bet, and then supplement on top of a great diet. Nothing replaces food, hence the word “supplement” to your diet. For energy give the B12 a try and the C. You should always take a multi anyway. Check with your doctor – he can run blood tests to see where you might be lacking. Good luck! I’m a big fan of taking the right vitamins. And you’ve listed some good ones. Taking Vitamin D works great, especially when I lived up in Washington State. During the winter not having sun for the most part of the year affects mood. When I’ve added Vitamin D, it helped significantly. Another one you mention is Vitamin C, taking that regularly helps me feel energized. Thanks for the post. Lots of great information and recommendations here for anybody thinking of taking a vitamin supplement to increase their energy levels. I think having a blood screen and asking your doctor for advice about deficiencies makes a lot of sense. Besides wasting money if you just take what you think you need, I have heard that one or two vitamins can be quite toxic if one takes too much. Do you have any idea which vitamins one should not consume too much of and what are the side effects if one does? You can take too much of anything, so definitely take what is recommended by your doctor or the manufacturer. Glad i found this post – I have friends and family members who are always tired all the time and myself at times too. That was a great suggestion to have a blood test and find out if you have any nutritional deficiency prior to taking any additional supplement. As much as we want to take all these supplements it will be very costly so yeah I will have my blood tested first. I like the Vitamin B12 that you recommended I think I will start with that! Hello Babs, great article the best vitamins for the body. I have been taking some Centrum everyday, but I have been lacking on them lately. I will definitely have to take the supplements that you have recommended, especially for vitamin C and B12. I love to keep my body right at all times. Thanks again!!! I do recognize that each of these have their own unique benefits, but if I were to choose just one of them all – which would you say would be the most beneficial in terms of raising ones energy levels? You mentioned vitamin C and B12, but which would you say is the absolute must? I myself have also heard good things about the vitamin B12. Other than that, some of my friends have mentioned to me that the vitamin D was a game changer for them. Also that Ashwagandha got me really intrigued. Either way, thank you for all the insights, Babs! Quite a valuable guide you’ve got here for all the vitamins necessary for one’s health. I like the fact that you not only recommend supplements but the food source as well. Vitamins are essential to one’s health. I love how you not only suggest the supplement but also suggest the food where that supplement can be got from; that gives us variety. I also love that you’ve made reading and understanding easy by including the nutrition facts. This helps one to know exactly what he/she is getting, just by looking at the ingredients. Thanks for this handy guide for essential vitamins. I really want to try the Ashwaganda. To be honest, I haven’t tried any of the supplements except for Magnesium. It’s a life-saver! About a year ago, I had a herniated disc which was very alarming for me at age 25. I’m happy to say I’m back to 100%, but my back muscles still get pretty tight and I think it’s as a result of having limited use during that time (not to mention all the sitting we do in our culture). Magnesium has helped my muscles to fully relax and heal! As a woman, and I don’t mean to be gross here, but I can definitely say that every month I notice how much I need iron. Iron is in your blood so it’s safe to say that losing it in even what’s considered a “safe” amount every month is losing a very important nutrient. I’ve also noticed that, even though it’s not really considered a vitamin supplement per-say, that apple cider vinegar is great for giving you a steady supply of energy without the crash or jittery feeling. Have you ever tried mixing apple cider vinegar with apple juice? Maybe I’m crazy, but it seems to put more pep in my step for longer. I’ve never used magnesium alone, but I do notice that a lot of “active” vitamins (vitamins designed for active people) contain fairly large servings of magnesium. I’ll definitely look into adding this supplement to my regimen. Thanks for reminding me that there are ways to increase your energy without using harmful ingredients like those found in most energy drinks! Thank you for sharing with us this great great article on Vitamins which can give us energy.Walthye all need to look young and feel healthy.With this post,I realised that I need to take some vitamins in my body. You recommended great supplements which help in different ways and I will look into it and order some like Amazing Oranges Powder 30 day supply to find antioxydant I need in my body.It seems to be good at skin care and that is the priority to a lady to have a good looking skin. A great post on the many vitamins and supplements that can help you feel better and through this, gain more energy. I read carefully through each of your recommendations, mentally checking off whether or not I was addressing each in my diet and supplements I currently am taking. The one that stood out was the last. I had never heard of this supplement and after reading through your detailed information, have decided to add it to my regimen. Ashwagandha is totally new to me, but after checking is used here locally in Dubai by many. The reviewers here also had high praise for its beneficial effect on their energy levels, so I am giving it a try too. Thanks for that and I will let you know how it turns out! One thing is for sure: These days many foods do not have the nutritional value they once did for many reasons, and we all need to do a check once in a while to see what we may be lacking, then take corrective action. You have provided the means to take that action. Thanks! Oh to ring back the youth in me! I think most people have heard of the main vitamins you’ve highlighted in this post but it’s nice to see a break down of what each vitamin does on one page. A new one to me, however, was the Ashwagandha, this looks really interesting. Do you know if there are any side effects taking Ashwagandha? I know the side effects from drugs used to manage stress can be quite strong. Something we have over in the UK that really helps joints is Cod liver oil. Is it something you have across the pond? Vitamin D is very vital to our body and everyone needs it both young and old, rich and poor, small and big. I don’t joke with foods that contain vitamin D and calcium, I know how important they are to human body. As regards fortified foods rich in Vitamin D which you talked about, ain’t they natural foods?